By Mick Dalla-Vee on Thursday, August 21st, 2014. By Mick Dalla-Vee on Wednesday, May 29th, 2013. Revolver is a Beatles Tribute Band that has been in existence for a couple of decades now. The band members are Skip Prest, Rocket Norton, Michael Sicoly, and Mick Dalla-Vee. 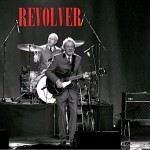 Here is an example of a typical Revolver show: Here are some pertinent videos: Revolver Plays Half Time at BC Lions vs…. By Mick Dalla-Vee on Tuesday, February 17th, 2015. This is a promotional video featuring Revolver – The World’s Best Beatles Band from Vancouver, BC Canada. Voice-Overs are by Red Robinson and comments from the band members as well. Enjoy! This is an example of the sound of Revolver, Live on Stage. By Mick Dalla-Vee on Monday, November 4th, 2013. Beatles Tribute Band “Revolver” perform on Empire Field at Half-time during the BC Lions – Toronto Argonaut CFL Football Game – Saturday, September 11, 2010 This video was shot from the stands by a spectator. Revolver – the worlds greatest beatles tribute band – Live at the PNE in Vancouver BC, Canada. An audience perspective of the ‘Hey Jude’ part of the Revolver Show – Opening the Pacific National Exhibition August 9th. 2009… commemorating the 45th anniversary of when the Beatles opened the PNE August 9th, 1964 in Vancouver, BC, Canada. Hey Jude performed by REVOLVER: The World’s Greatest Beatle Tribute Band at the Vancouver P.N.E. in August 2009. Mick Dalla-Vee, Michael Sicoly, Skip Prest, and Rocket Norton. From a news broadcast several years ago. By Mick Dalla-Vee on Monday, February 10th, 2014. Revolver Members Mick Dalla-Vee and Mike Sicoly Sing the Canadian National Anthem at the start of a hockey game. January 2014.